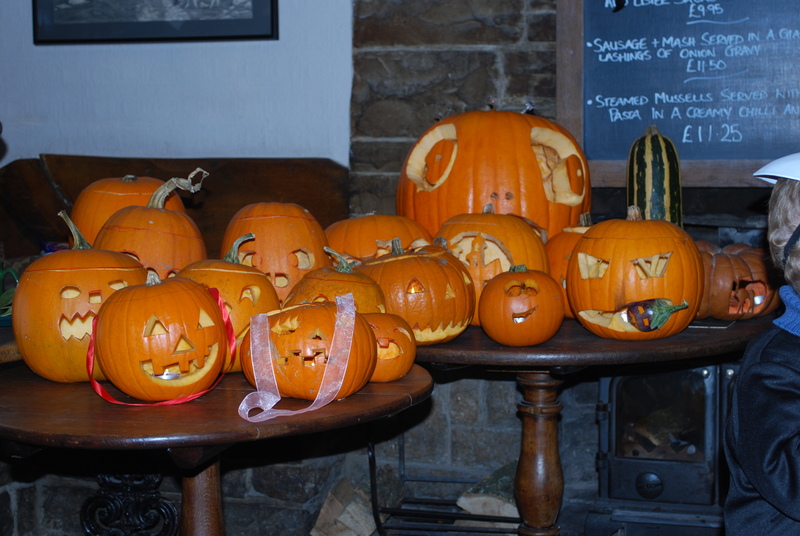 The 2nd Annual Pumpkin Festival was held on Sunday the 31st October at The Lister Arms, Malham and now with a fantastic trophy at stake I knew I would have to deliver something special. After the Giant pumpkin stunt with Nigel Haworth last week which was designed to create a bit of PR for Class One Direct, fruit & veg suppliers extraordinaire from Skipton I was offered another huge beast of a pumpkin by Rebecca from FeastFresh & Class One and decided to give it a go for the pumpkin fest. After collection from Class One in the Land Rover and trailer and delivery to my secret workshop! Gemma & the team hollowed out masses of giant pumpkin seeds and pumpkin flesh, I have made 2 batches of soup so far and hardly made a dint in my meat tray full of pumpkin. The 2 soups so far include Pumpkin & Ginger as recommended by Nigel Haworth in last week’s podcast (you can listen to the pumpkin podcast here) and another from my big soup book, Spicy pumpkin & lentil, pumpkin & ginger is the family favourite so far. 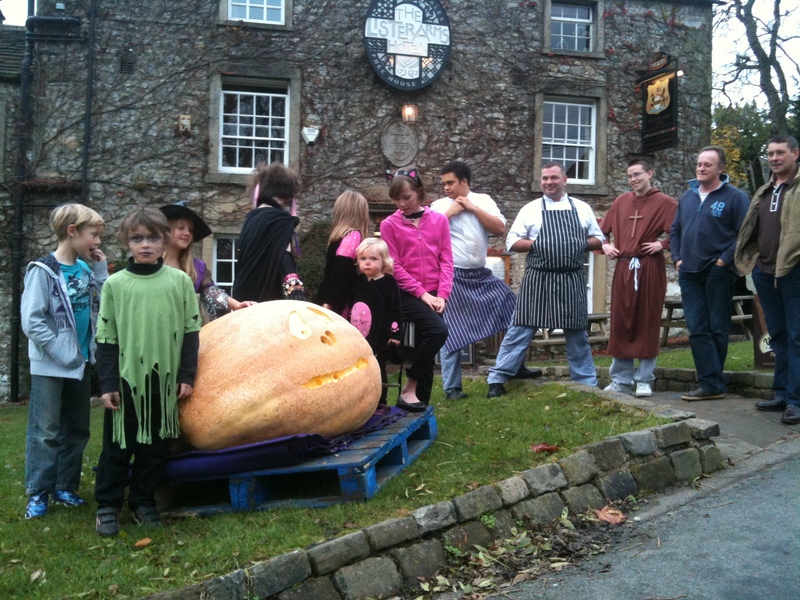 After carving some of the pumpkin flesh went to the pigs & hens we then had to transport Terry the Pumpkin up to Malham on the tractor and place gently on the Village Green. 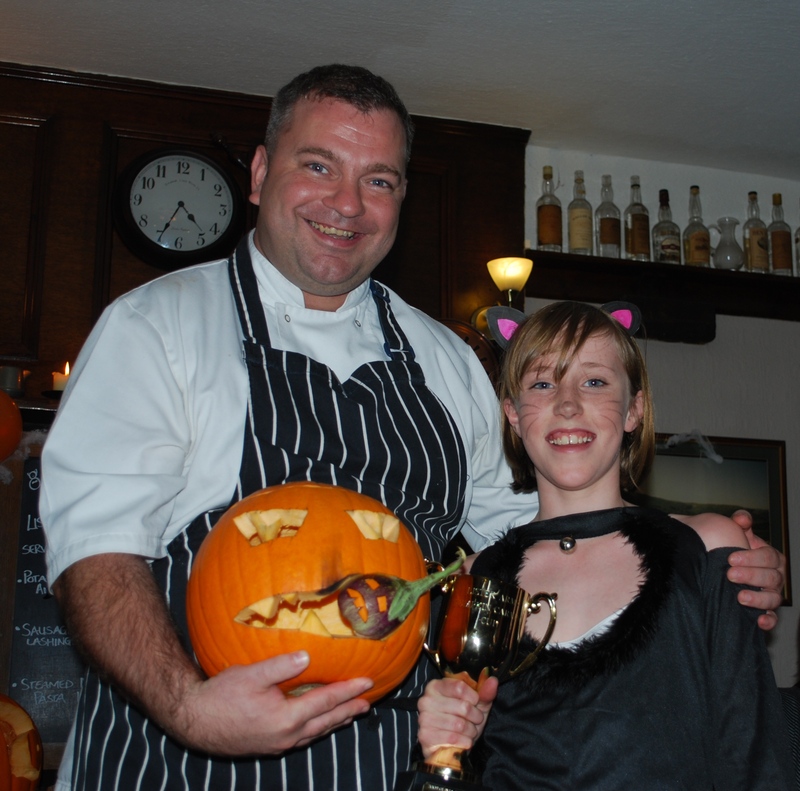 Back to the main competition at the pumpkin festival at The Lister Arms, last year young Miss Dewhurst won with a fab pumpkin eating a smaller squash or courgette and very good it was too. During the event everyone was fed with pumpkin & cumin soup and Halloween blood fritters (Blue Pig Black Pudding fritters). This year with a different judge picked from the crowd in the pub and blow me down but Miss Dewhurst won again! and after I convinced the Family that they had to defend the title. So BIG is not always best! 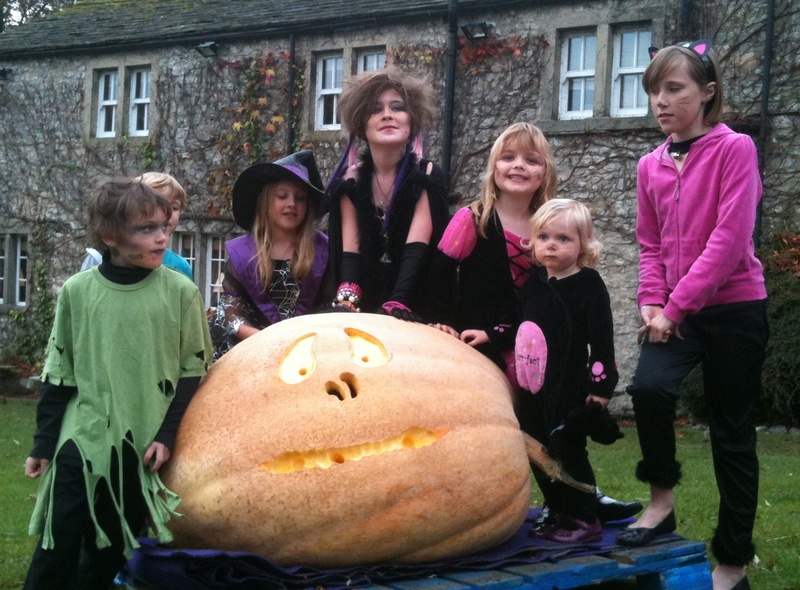 oh well we got 3rd prize this year, think I might try a normal size pumpkin next year, maybe eating a small Dewhurst! 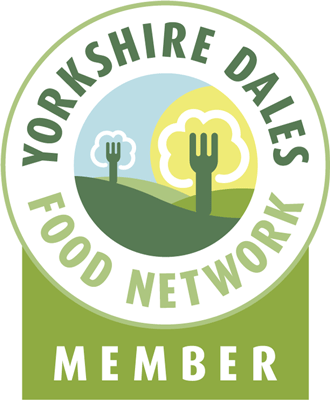 This entry was posted in Competitions, Eating, Events, Food, Yorkshire Dales Food and tagged carving, Halloween, Jack-o'-lantern, lister arms, malham, pumpkin. Bookmark the permalink.